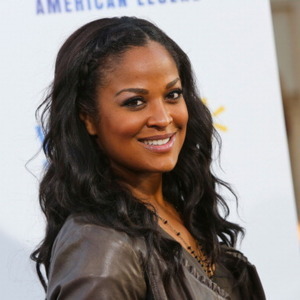 Laila Ali net worth: Laila Ali is a retired American professional boxer who has a net worth is $10 million dollars. She was born in Miami Beach, Florida and is the daughter of boxing superstar, Muhammad Ali. She first showed an interest in boxing when she was in her early teens, and after convincing her father that she could handle it, she fought her first professional bout in December of 1999. She won that match with a knockout during the first round, and never looked back. She won her first eight matches, and in 2001, made history as one half of the first pay-per-view boxing broadcast of African-American female boxers. 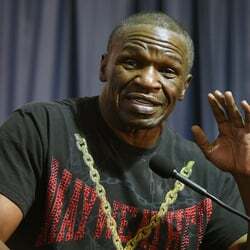 She was fighting Jackie Frazier-Lyde, the daughter of boxing legend Joe Frazier, and the bout was heavily touted due to the boxing history between the two women's fathers. She fought 24 fights between 1999 and 2007, winning all of them, 21 by knockout. More recently, she has appeared as a co-host on Everyday Health TV, a Saturday morning show on ABC. Ali is credited with saving the life of American Gladiators co-host and wrestling legend Hulk Hogan by telephoning him when he was depressed and suicidal; a call that Hogan said in his book, My Life Outside The Ring snapped him out of a "suicide trance." Ali married Johnny "Yahya" McClain in 2000 after meeting him through her sister Hana at her father's 57th birthday party. In late 2005, they couple divorced and in 2007, she married former NFL player Curtis Conway. They have two children together, Curtis Muhammad Conway Jr and Sydney Jurldine Conway, and Laila is also the stepmother to Conway's three children: twin sons Cameron and Kelton and daughter, Leilani. 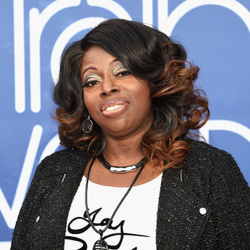 The family recently appeared on the hit reality television show Celebrity Wife Swap where she swapped lives with singing legend Angie Stone for one week.